Unsaturated soils contain both air and fluid phases in their pores and occur throughout the world. They can be either naturally occurring soils, such as those found in arid and tropical zones, or artificially created soils such as those that are formed by compaction. One of their major features is their volume and strength change behaviour upon wetting and drying. Unsaturated soils that expand upon wetting are known as expansive soils, whilst soils that shrink upon wetting are known as collapsible soils. Due to the very large movements that they may undergo, both of these soil types can severely damage foundations and the structures that they support. To understand the behaviour of unsaturated soils through laboratory and field testing. To develop constitutive models that capture the basic features of various unsaturated soil behaviour. To develop robust, efficient and accurate numerical algorithms for implementing the constitutive models and for solving boundary and initial value problems. 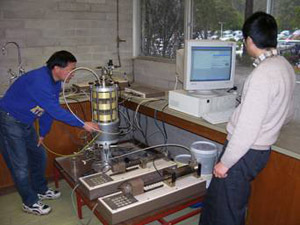 Triaxial and oedometer apparatuses with suction control are used to study the behaviour of unsaturated soils under various wetting, drying and loading paths. Compacted and slurry soil samples with different clay contents are used in the tests. Although a number of constitutive models for unsaturated soils exist in the literature, some fundamental questions have not been fully answered. There are questions related to (a) the change of the yield stress with soil suction, (b) the plastic volume change associated with initial drying of slurry soils, (c) the slope change of the normal compression lines at suctions larger than zero, and (d) the smooth transition between saturated and unsaturated soil states. To address these questions, a new constitutive model has been proposed. One of the key ingredients of the model is depicted in the following image. 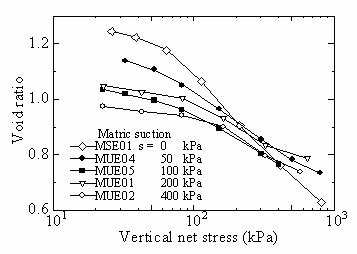 The yield stress initially decreases with increasing suction below the saturation suction, but may increase or decrease for suctions above the saturation suction, depending on the stress path. The yield stress for air-dried unsaturated soils that has never been consolidated always decreases with increasing suction. However, compaction of unsaturated soil can change the shape of the yield surface. 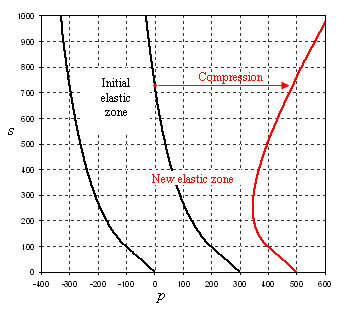 The smooth curvature of the normal compression line at a constant suction is a natural result of the proposed volume-stress-suction relationship. There is no need to adopt an apparent preconsolidation stress. volume collapse during wetting is a direct result of a suction-dependent hardening law. It is a feature of compacted soils. Air-dried soils from slurry do not collapse when wetted, according to the model. The proposed model features a stress-path-dependent hardening law and a non-convex yield surface. 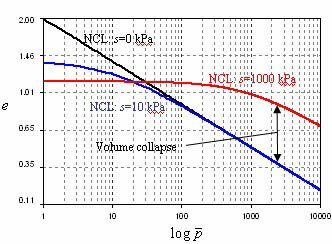 Consistent formulation of the incremental stress-strain relations in the displacement finite element method. 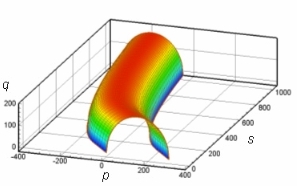 The non-convexity of the yield surface and the stress-path-dependent hardening law make robust and efficient numerical solution methods difficult to develop. 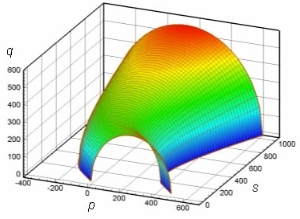 The boundary value problem is formulated in terms of displacements and pore fluid pressures and solved by advanced numerical algorithms enhanced with automatic time stepping and error control.